This is a tough topic to get good input on. For most subjects an ordinary Google search turns up lots of information, most just isn't as well-grounded as it might be. For most topics digging deeper through search resources like Research Gate and Google Scholar identifies a few great references, usually too specific to paint out the broad picture but enough for a good start on some details. Not so much for the long term effects of caffeine consumption. I'll be able to go into dependency and withdrawal--that's well documented--but there just isn't much about long term use issues. One potential problem is identified here, but my intuition tells me that this post might miss a lot of real concerns. Research does try to identify patterns in heart disease or cancer correspondence with caffeine use, with some interesting results. I'm more concerned about psychological effects, or changes in how I might feel, so I won't do anything with all that here. I drink a lot of tea, and take in a good bit of caffeine, and I'd like to know what the effect might be. Hopefully I'm not increasing my chances of getting a serious illness but I would expect the best guess about that to vary over time as different studies come out. Up to 400 milligrams (mg) of caffeine a day appears to be safe for most healthy adults. That's roughly the amount of caffeine in four cups of brewed coffee, 10 cans of cola or two "energy shot" drinks. 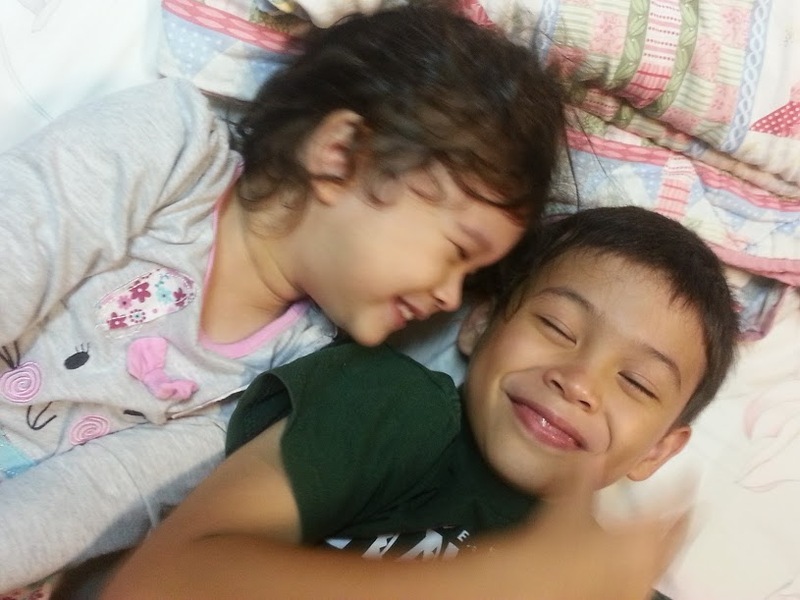 I might also mention that both my mother and brother have such a pre-existing medical condition as I'd mentioned. 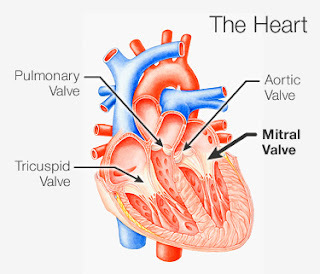 If they ingest even moderate amounts of caffeine they experience heart valve related problems, which isn't as dangerous as it sounds (I think it's this condition, mitral valve prolapse). Clinically, caffeine may be involved in the precipitation, exacerbation or maintenance of anxiety disorders (Kruger, 1996). Interesting! From what I've covered so far it seems unlikely that many people would exceed 1000 mg. of caffeine intake anyway, the threshold for triggering what they identify as disruptive caffeine intake described as "caffeinism." It does seem possible to drink four energy drinks in a day, though; that might come up. Those drink volumes vary from 8 ounces to 20 (with some values seeming to indicate not all beverages are available in every size option). Drinking three drinks or 60 ounces of the highest caffeine content beverages would put one at high risk for those more extreme side-effects, the "caffeinism" case, or less for some higher content specialty drink versions. Some of those--not included on this list citation--register over 400 mg. for the largest size. But for most standard Starbucks coffee beverages that seems like a lot of coffee, roughly two quarts. 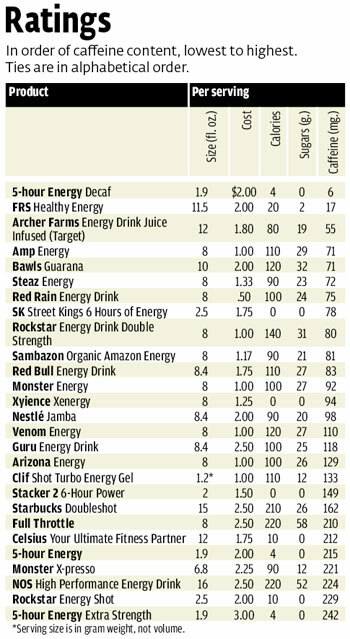 Espresso shots--75 mg., listed further down that chart than cited--would also add up, but not quickly, since a dozen would only approach that 1000 mg limit. Before going further with a deeper dive into possible side-effects lets go back to what started me considering this, a blog post about that author quitting caffeine. I couldn't determine the problem. I had rested, and I felt better otherwise. No symptoms of any other sickness. I kept hydrated, I ate healthy. I ran down the list of potential issues until I settled on a likely culprit: caffeine dependency. So I quit. Quitting gave me a 24/7 headache for three consecutive days, a horrible headache... But I didn't get better, my fatigue became worse and my head more densely clouded. It is well-known that caffeine produces insomnia. It reduces slow-wave sleep in the early part of the sleep cycle and can reduce rapid eye movement (REM) sleep later in the cycle (Nicholson & Stone, 1980). 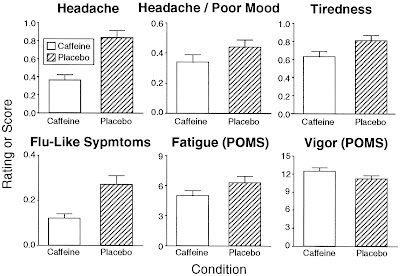 Caffeine increases episodes of wakefulness (Brezinova et al, 1975), and high doses in the late evening can increase the time taken to fall asleep (Smith, 2002). Any stimulant or depressant, like caffine, will disrupt your sleep architecture from its normal patterns, even if you feel you have a pretty solid tollerance for caffine. Over time, the caffeine causes your mind to linger much longer in Stage 2 sleep (or even Stage 1, very light sleep) rather than deeper sleep because the stimulant effects have not completely worn off from the day. This causes a reduction of time you spend in REM, because the mind needs Delta/Stage 3 (deep) sleep before moving on to a REM sleep session. 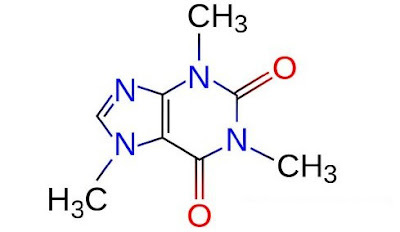 So, when you stop using caffeine, your mind will then not have a stimulant blocking it from the natural sleep architecture that allows REM to occur. For you to wake up feeling rested, your brain needs to move through an elaborate series of cycles. You can help this process along and improve the quality of your sleep by reducing your caffeine intake. When you do finally fall asleep, the worst is yet to come. Caffeine disrupts the quality of your sleep by reducing rapid eye movement (REM) sleep, the deep sleep when your body recuperates and processes emotions. Many studies suggest that caffeine actually improves cognitive task performance (memory, attention span, etc.) in the short-term. Unfortunately, these studies fail to consider the participants’ caffeine habits. New research from Johns Hopkins Medical School shows that performance increases due to caffeine intake are the result of caffeine drinkers experiencing a short-term reversal of caffeine withdrawal. By controlling for caffeine use in study participants, John Hopkins researchers found that caffeine-related performance improvement is nonexistent without caffeine withdrawal. In essence, coming off caffeine reduces your cognitive performance and has a negative impact on your mood. The only way to get back to normal is to drink caffeine, and when you do drink it, you feel like it’s taking you to new heights. In reality, the caffeine is just taking your performance back to normal for a short period. Crazy! It's possible to measure a performance boost in study participants from taking caffeine because they normally are "on it," and the withdrawal causes a drop in performance in the first place in the studies. The performance-inhibiting lack of caffeine, which they are dependent on to begin with as a matter of daily habit, is removed by restoring the normal level of caffeine in the participants' systems. A Time article cites an interesting related celebrity sports star case, when Serena Williams missed her morning coffee and later performed better in a match after having an espresso between rounds. My main concern is identifying what the long term impact is in my own case, not necessarily related to stopping caffeine use but to continuing it. All the same considering the case of caffeine withdrawal is informative, since a lot of the content sets a baseline for the effect of different levels of caffeine use. Even after the withdrawal period is over, many still never feel quite as good as they do when they’re drinking caffeine all of the time. Some believe that caffeine permanently alters one’s brain chemistry. This is most likely due to the changes that occur with dopamine levels in the brain because of the daily caffeine. A research study paper identifies just how easy it is to develop a caffeine dependency, in Caffeine Withdrawal: A Parametric Analysis of Caffeine Dosing Conditions. The results are easiest to summarize as a series of findings. The present study confirms and extends previous findings regarding the symptoms associated with the cessation of caffeine consumption. The major symptom clusters that were affected significantly in each of the four experiments (cf. Table 2) were increases in Headache, Headache/Poor Mood... Tiredness... 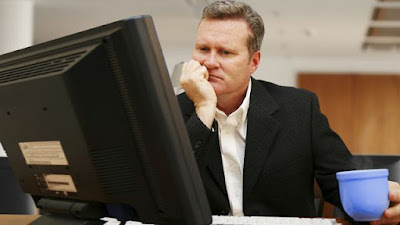 Fatigue.. and Total Mood Disturbance (POMS) and decreases in Activity/Alertness... and Vigor (POMS). Experiment 2 also documented that significant caffeine withdrawal symptoms can occur after maintenance on as little as 100 mg/day caffeine.... individuals who consume as little as a single 6-oz. cup of brewed coffee (which is known to deliver about 100 mg of caffeine; Barone and Roberts, 1996) each morning are at risk for experiencing headache and other withdrawal symptoms should they omit their daily single cup of coffee. Experiment 4 (duration of caffeine exposure) showed that relatively short-term exposure (as few as 3 consecutive days) to intermediate doses of caffeine (300 mg/day) is sufficient to produce withdrawal symptoms when caffeine dosing is terminated. As shown in Table 2 and Fig. 4, the withdrawal tended to be somewhat greater after 7 days of caffeine exposure, with no further increases after 14 days of caffeine exposure. The short version: someone can become addicted to caffeine in a week, and as dependent as they're going to be--related to withdrawal experienced--after just 14 days. Of course that doesn't reject that the negative impact of dependency and use couldn't vary over longer time periods, only that the withdrawal process itself seems to not change, per these findings. Based only on intuition I suspect that the other negative aspects of caffeine use would vary over a period of weeks or months. Of course the earlier section references indicated that most people wouldn't experience negative reactions, as long as they remained under the "normal" limit level of 400 mg. use per day. The withdrawal study findings were quite interesting, just not closely tied to the other ideas. They seemed to imply that reactions to use of caffeine wouldn't vary much after two weeks, based on the scope and content of those findings, related to withdrawal concerns. If caffeine really is disrupting sleep patterns that would seem a completely separate concern, much more likely to exhibit a cumulative effect over time. It was particularly interesting that trouble falling asleep was just one factor mentioned, and not the main one, with two reliable sources and a Quora answer responder all citing REM sleep cycle disruption as a more significant factor. The effects cited in that blog post, sleepiness, haziness, lack of vigor, would all be exactly what one might expect related to sleep pattern disruption. Again it's not about insomnia, which could possibly be related, but instead to dream-state cycles. It's a bit late to be introducing it but I've been experiencing similar symptoms myself, a general haziness and lack of energy, for a period of weeks to months (or maybe years, in a lesser form). I'd always written that off to my kids waking me up at night. They do so at random times roughly every other night, sometimes twice in a night. It would be nearly impossible to separate the two, sleep disruption related to caffeine disrupting REM cycle and sleep disruption related to being woke up at random times. 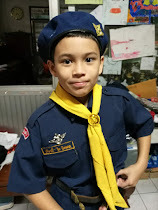 It all started about eight years ago, when my son was a newborn, and never really subsided since. It varies a lot based on lots of factors, like thunderstorms, which I can sleep through but they can't. So should I quit tea? Taking a couple weeks off would seem in order. I already intentionally limit how much tea I drink to likely stay under the standard caffeine level limit, and don't drink any tea past mid-afternoon. I took a day off earlier in the week, related to having a cold, with that related withdrawal prompting me to revisit this subject (it really does give you a headache, something I've noticed before). 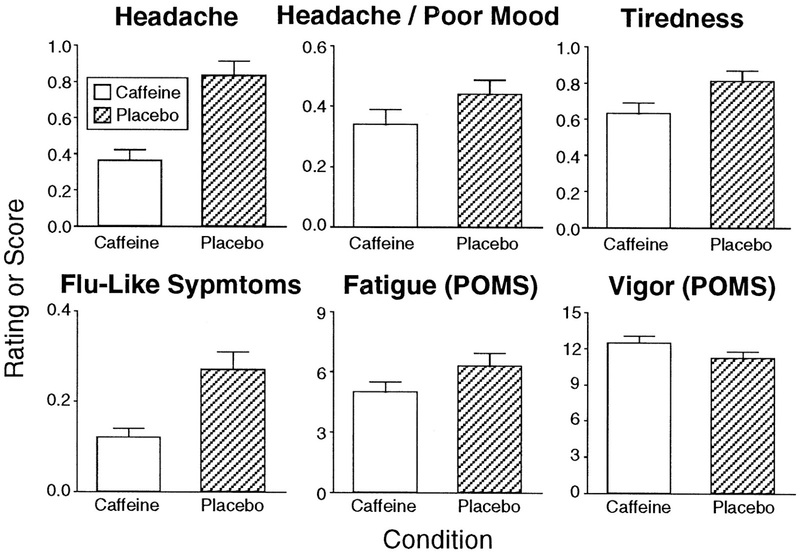 Based on this research stepping back caffeine use might be a lot more pleasant an experience, moving to a cup or two of tea a day first instead (60-80 mg of caffeine, maybe, although that really does depend on lots of factors). I'll post an update if I try it. Thanks for bringing this topic up,because I'm basically in the same boat as you, and trying to find the balance between the sugar I take in and the fast food with use of tea as a remedy is turning into a temporary solution at best. So I'll keep drinking water and eating green vegetables till I feel better, and I hope things work out for you too,John. Thanks for the input! I really started writing to help discuss tea and related issues and it didn't work out like that. I think tea can be a really healthy and interesting part of a diet but within tea circles and the industry there is a bias towards presenting it as entirely positive, and dismissing anything that might be negative. Too much caffeine is a bad thing, and how much is too much would vary by person. I didn't go into it here but one main, easy fix for potential adverse effects of tea (beyond moderation) is alternating between drinking tea and water. There is some evidence that caffeine only works as a diuretic (removes water from your body) when it's near the daily intake limit (300-400 mg/day) but I definitely notice the effect myself, maybe because I'm consuming around that limit. the Linus Pauling Institute at Oregon State University.Fluoride intake is the main concern with tea consumption.Limiting intake to a liter of tea a day is recommend.